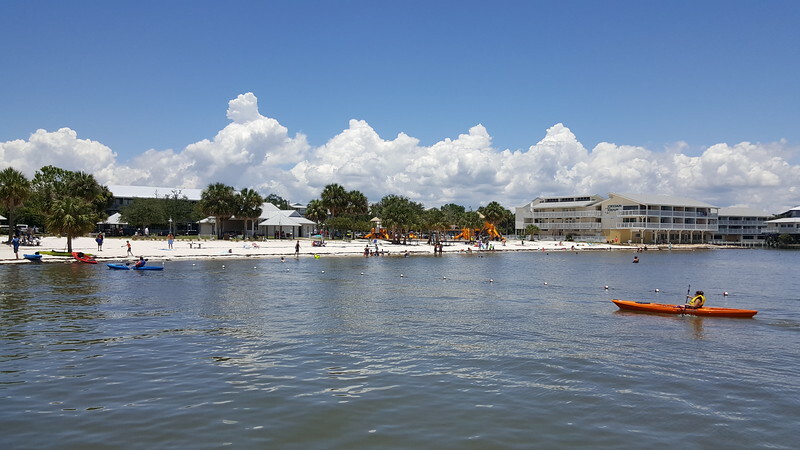 With a 2010 census population of 702, Cedar Key is not your average Florida destination. 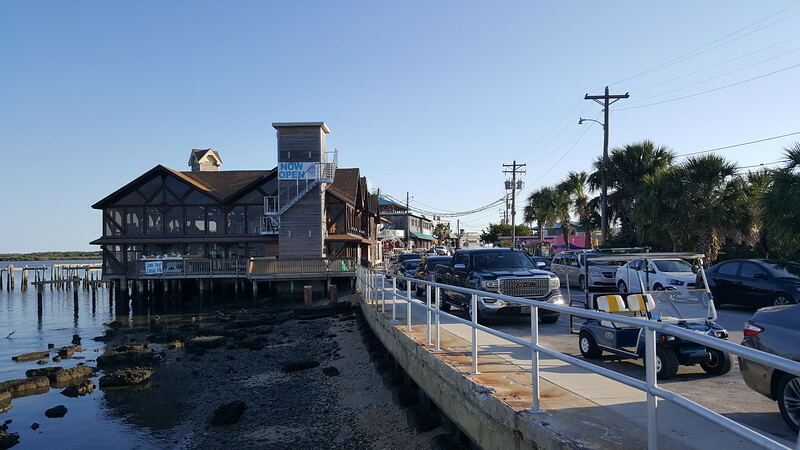 Home to no traffic signals or four lane highways and only covering 2.1 square miles of land area, Cedar Key is a pedestrian and bicycle friendly slice of original Florida. A clamming, fishing, and artist village with a tourist trade where most visitors are looking for a low key get-a-way, Cedar Key is also a tale of “what could have been”. Located on an island in the Gulf of Mexico, fifty miles southwest of Gainesville, Cedar Key was once known as the “Venice of America”. Named for the eastern red cedar, Juniperus virginiana, that were once abundant in the area,, development of the Cedar Keys dates back to the Second Seminole War when the United States Army established Fort No. 4 adjacent to the Keys and an Army base on Depot Key. In 1842, the United States Congress commissioned a survey for a railroad to be constructed between Fernandina Beach and the Cedar Keys. 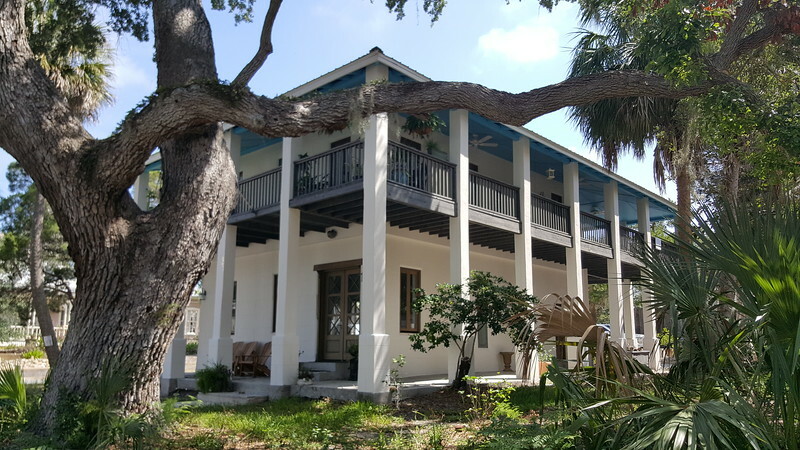 A year later, Augustus Steele, US Customs House Officer for Hillsborough County, Florida, took over the then abandoned Army base, renamed the island Atsena Otie Key and repurposed it for wealthy guests. Two years later, a post office named “Cedar Key” was established on the island. Construction on the Florida Railroad started in Fernandina Beach in 1855. At the time, its owner U.S. Senator David Levy Yulee, planned for his railroad to unite the Gulf of Mexica and the Atlantic Ocean, allowing shipping to bypass the hazardous Florida Straits. During its construction, a second town in the Cedar Keys was platted on Way Key in 1859. Now the City of Cedar Key, this town would serve as the western terminus and port for the 156 mile Florida Railroad. After teetering on the edge of bankruptcy during construction, Yulee’s railroad reached Way Key in March 1861, just weeks before the start of the Civil War. 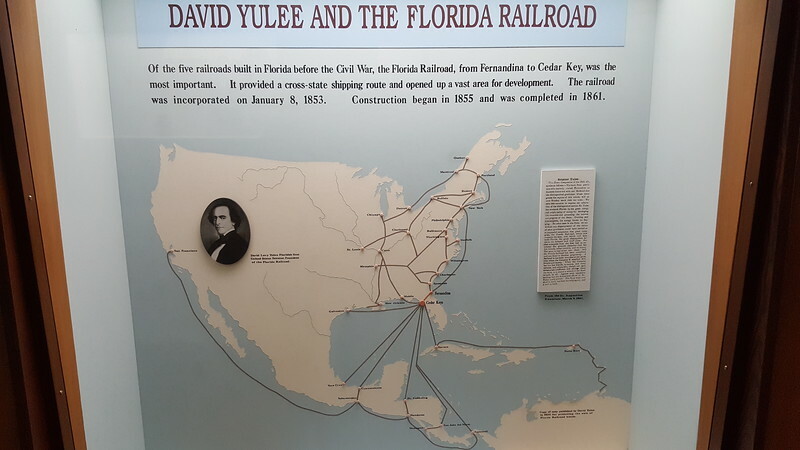 A few months later, in January 1862, the Union destroyed much of Yulee’s new railroad operations at Cedar Key. In the years that would follow, both the Union and Confederacy either destroyed or pulled up the Florida Railroad’s rails between Cedar Key and Fernandina Beach. Following the Civil War, the destroyed railroad went into bankruptcy in 1866, eventually reorganizing and being acquired by Sir Edward James Reed in 1881.